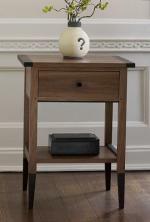 Classic Shaker styling and craftsmanship meet modern sensibility in this table, a masterpiece of fine woodworking. 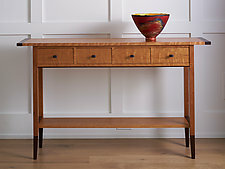 Designed to highlight the rich grain of cherry and wenge wood, it is precisely crafted with mortise & tenon joinery and pegged construction for enduring stability. Four dovetail drawers and one shelf. Finished with clear lacquer. 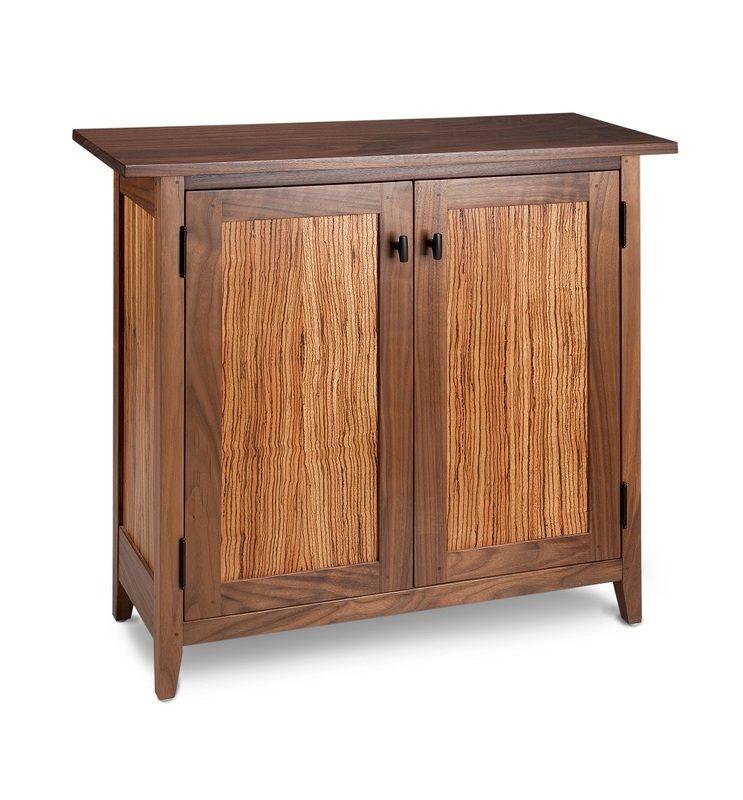 The expert craftsmanship and Shaker-inspired design of this cabinet accentuate the stunning natural grain of walnut and zebra wood. Mortise & tenon joinery and pegged construction ensure that the piece is as well built as it is beautiful. Two adjustable shelves inside. Lacquer finish. 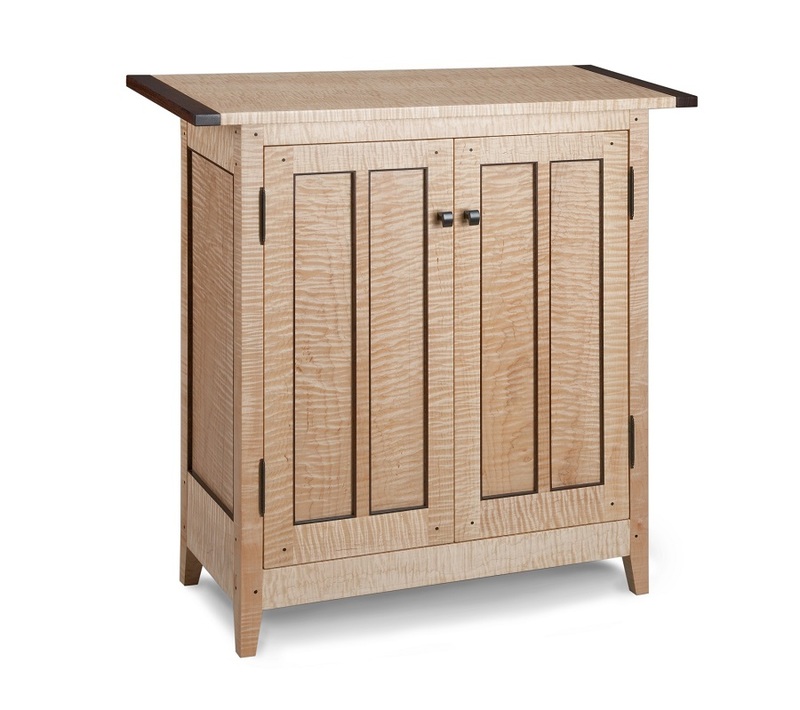 The harmonious design and expert craftsmanship of this handcrafted cabinet highlight the natural beauty of its highly figured tiger maple wood. Dark wenge accents emphasize the clean lines of the Shaker-inspired design. Mortise & tenon joinery and pegged construction ensure that the piece is as well-built as it is beautiful. Two adjustable shelves inside. Two-coat lacquer finish. To see more of the 2015 Collection, click here.